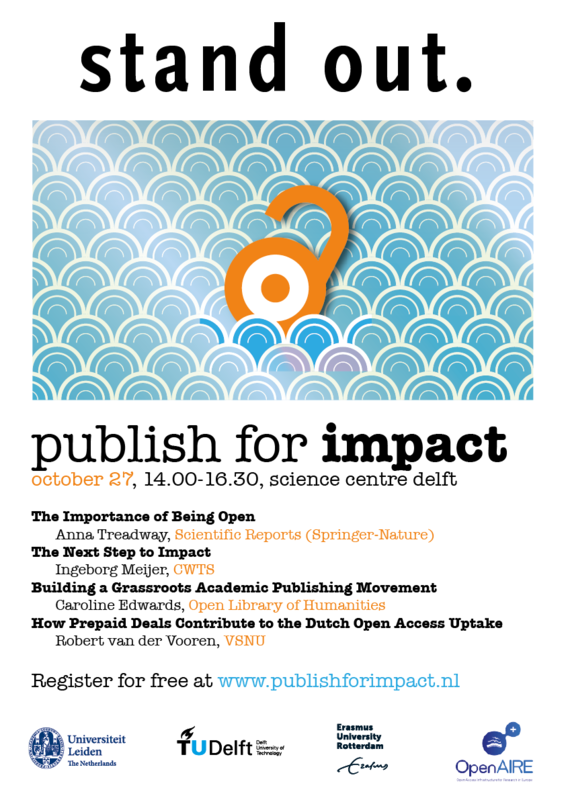 Spinger, Wiley, Taylor&Francis, Elsevier, ACS all offer high quality Open Access opportunities to Leiden researchers without additional costs, without compromises to impact. The start of 2017 has brought us 7400 high quality journals offering a very favourable deal for Open Access publishing to Dutch researchers on condition that they must state themselves that they want to make use of it! Open Access publishing has long suffered a reputation problem: it was either at the cost of impact, or expensive, or a combination of both. The emergence of so called predatory journals and their persistent spamming does not really help to boost the image of what started as a well willing, idealistic movement. 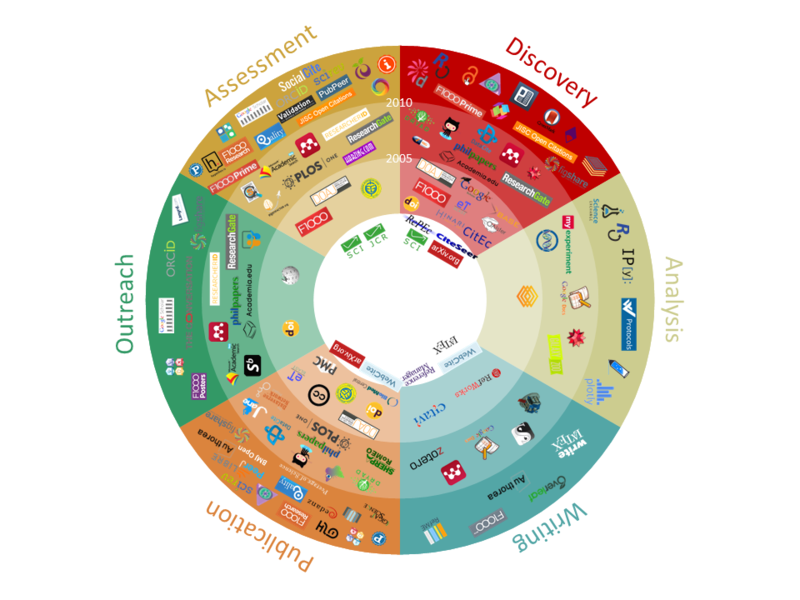 How then, to get to message across a still rather reserved scientific community that in 2017 we can offer truly interesting Open Access deals with more than 7400 quality journals with very high to 100% discount rates, but that researchers do have to indicate themselves that they want to make use of this OA publishing agreement? Nothing works as efficient as word of mouth from peers, but we have to start somewhere… to create a critical mass of participants we invite you to take look at the journal title list, share it, and when you publish with these journals, state that you want to make use of the Open Access deals: they have already been paid for. The seminar is free of charge. Please register by filling out the form. The seminar will bring under your attention the different aspects of publishing, visibility and impact – be it academic, societal, or economic. It will highlight the importance of being open and discuss complementary indicators and methods for measuring impact. 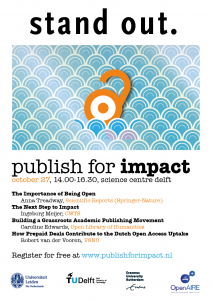 The seminar will take place in the context of international Open Access week 2016. Tools for Scholarly communication: how important is Open Access? You can contribute tot his research project by filling out an online survey , if you follow this link>> By doing so, you do not only take part in the research project 101 innovations in scholarly communication, but you also provide a great opportunity for Leiden University Libraries to obtain information on the research tools that our own Leiden researchers use. 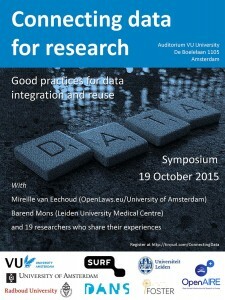 After the closure of the survey, the Library will receive a report containing anonymised data on the Leiden input. (http://arabianepigraphicnotes.org/) during the LUCIS-LeiCenSAA Conference “Arabian Archeology in the 21st Century” . The journal is an initiative of the Leiden Center for the Study of Ancient Arabia and has been created in close cooperation with Leiden University Libraries. 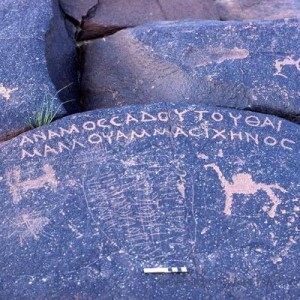 The need for ‘their own’ journal had been felt for several years in the quickly developing discipline of Arabian Epigraphy and several publishers showed interest to set up this journal with an impressive editorial board already in place. However, the LeiCenSAA had a very strong wish to publish Open Access, without Article Processing Charges for the author, and ensuring quick publication after peer-review, a combination that proved hard to find. That is why the Editor-in-chief, Ahmad al-Jallad, changed his approach and decided to set it up himself in cooperation with the library and Academia. Leiden University Libraries is taking on the responsibility for the long-term storage of the articles through the institutional repository. Academia developed, especially for this project, a closed forum that enables all those who are invited to peer-review to simultaneously comment and discuss the paper that is on review. After a set amount of days (usually about twenty) the review closes and all the comments are anonymized and sent back to the author. As soon as the paper is ready it is published. So instead of sending out the paper to one or two peer-reviewers it is now sent out to a whole group of reviewers, who can each of them concentrate on their own expertise even if that is sometimes only a short passage. Considering the very broad multidisciplinary knowledge that is necessary to move this field forward on the crossroad of archaeology, Semitic languages, Arabic, Greek, linguistics and history, this approach really enhances the progress of this discipline. At the end of each year the ‘ volume’, consisting of all the articles published during that year, closes and a new volume opens up for the following year. Though the role of the library in this project is modest, it has proved vital because long-term preservation and accessibility as well as persistent identifiers (in the form of handles) are very important for this initiative to succeed. Moreover the expertise present at the library concerning Open Access, findability, metadata and preservation helped shaping this innovative new way of publishing. Open Access is featuring highly, at times as a somewhat contested topic, on the agenda of government, policy makers, publishers, and research funders; in several areas of research, and even in the national written media. Those in favour stress advantages such an increased visibility and access for society to publicly funded research; those against will argue that Open Access leads to a decline in quality and an increase of costs.